Holds twenty-four 4 ml Vials per block. 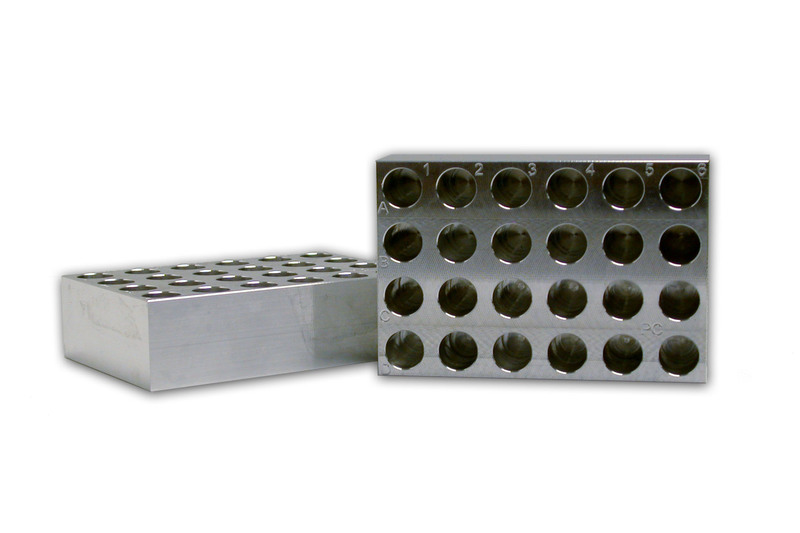 Aluminum Cryo-blocks are used for highthroughput cryogenic grinding by maintaining liquid nitrogen temperatures during sample homogenization. Sold in a set of 2.